Everywhere you look these days, you’ll find brand new apartments going up all over Grand Forks. And more are expected to come on line this year. Naturally, this has a lot of residents wondering: Should I use my money to invest in real estate or should I rent a unit in a local apartment? The answer is not a one-size-fits-all. Today, I’m going to discuss with you the pros and cons of both renting and buying. You’re not planning to live in Grand Forks for too long. (It’s much easier to break an apartment lease than it is to sell a home). Your budget does not allow for you to regularly invest in home maintenance issues, including lawn care, HVAC units, heating systems, and roof maintenance. (An apartment association will take care of all of these for you). You are in between jobs or have an unpredictable pay schedule that makes it hard to even have a savings account. Of course, there are some disadvantages of renting property. For instance, you’re essentially throwing your hard-earned money at something you will never own. Not only that, but you’ll never have the opportunity to get a return on that investment you’ve made in rent fees. Additionally, you are limited to what you can do with an apartment. When you own a home, you can really make it your own by doing a wholesale renovation on the inside or just simply landscaping your property the way you would like. 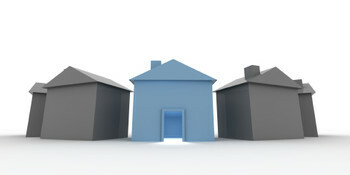 You are in a stable job with a stable income that can take on a mortgage and home maintenance issues as they come up. You’re interested in growing your family and want more space to be able to do that. You can money in savings that can help toward your home’s down payment as well as any closing costs. Of course, if you plan to sell your home within a couple of years of buying it, it’s not likely you’ll get a return on your investment. In fact, you could very well lose money after all is said and done. What’s more, if you’re in between jobs or don’t have a steady and reliable paycheck, it can be very stressful to have a property attached to your name. You might want to reconsider buying in this instance. If you’re ready to take that next step toward owning your own home on the local housing market, then please contact me, Sandra Meyer, and my team of expert REALTORS at Re/Max Grand. We would love to assist you by answering all of your questions and also telling you about available listings in Grand Forks.